Microsoft Outlook is an application, which serves as a desktop E-mail client, allowing its users to send and receive mails along with personal information management via Calendar, Contacts, Task, Notes, etc. MS Outlook uses more than one storage format as its data repository. Today we are going to discuss one such file extension, which is MSG File Format in comparison with EML File format. What is a MSG File Format? What is an EML File Format? 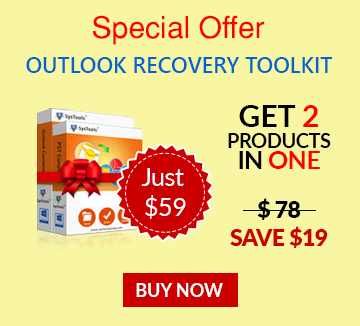 How to Convert Outlook (.msg) File to (.eml) File Manually? How to Convert Thunderbird (.eml) File to Outlook (.msg) File Manually? In MS Outlook, whenever you use a mail account such as POP3 or IMAP or Microsoft Exchange, the E-mails, contacts, tasks, etc., are stored in the default storage file, i.e. PST. Besides the default storage, Outlook allows you to store individual items in a different format on your machine. This format for emails is called .msg file format, also referred to as Outlook Saved Mails. Create Manually: Select the data item from your Outlook >> Drag it on your desktop screen. The file which be created as an MSG file. Similar to .msg file, that represents an individual data item in MS Outlook, EML File is also meant to individually store messages in Outlook Express, Thunderbird. An EML file comprises of a particular e-mail along with any attachments or files attached to it. Example: Dragging an individual e-mail on to your desktop from a Thunderbird account will create an EML file just as an MSG file is created using Outlook. EML is the extension supported by multiple e-mail clients like Outlook Express, Thunderbird, Windows Live mail. MSG is the extension supported by Microsoft Outlook. .eml file can be read by its E-mail client along with other. Like Outlook can read .eml files. .msg file can only be saved for e-mails and messages. .eml files can be opened in a text editor as are similar to text files. .msg files can only be opened by MAPI based applications. You can easily convert your .msg file into an .eml file as there could be possibilities where you want to view an .msg file but you do not have MS Outlook to open it. MSG files are client dependent because they are a proprietary message for Outlook whereas, EML is a text based file representing a message. Therefore, having single messages stored in EML rather than an MSG file proves more beneficial for the users, due to its flexibility. Apart from EML file to MSG format and its vice-versa, you can also convert your Outlook data files into various other file formats like; PDF and VCF without putting in manual efforts from your end by using a third party utility, Outlook file converter. Thus, the files can become easily accessible without application dependency.